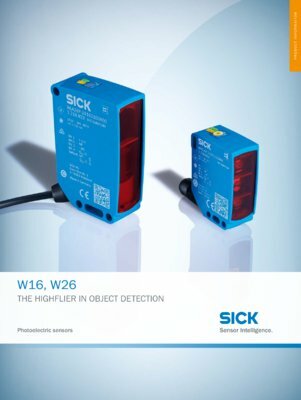 Thanks to the innovative LED display, BluePilot enables product families W16 and W26 to align sensors and reflectors as well as senders and receivers within seconds. In the case of the photoelectric proximity sensors, a push-and-turn mechanism enables the sensor to be adjusted quickly and precisely, thereby eliminating the customary time-consuming fine adjustment using rotary controls. The combination of teach-in button and potentiometer in one operating element enables intuitive fine-tuning in a matter of seconds. Moreover, the LED display generates an optical representation of the sensing range, providing an additional orientation aid.